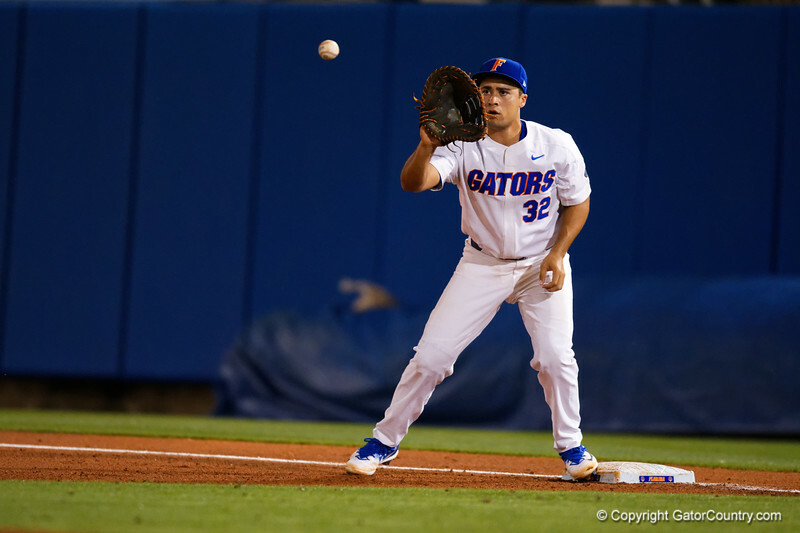 University of Florida Gators first baseman Keenan Bell eyes the ball into his glove at first base for a force out as the #1 ranked Gators open the 2018 season with a 7-1 win over Siena College at McKethan Stadium. February 16th, 2017. Gator Country photo by David Bowie.